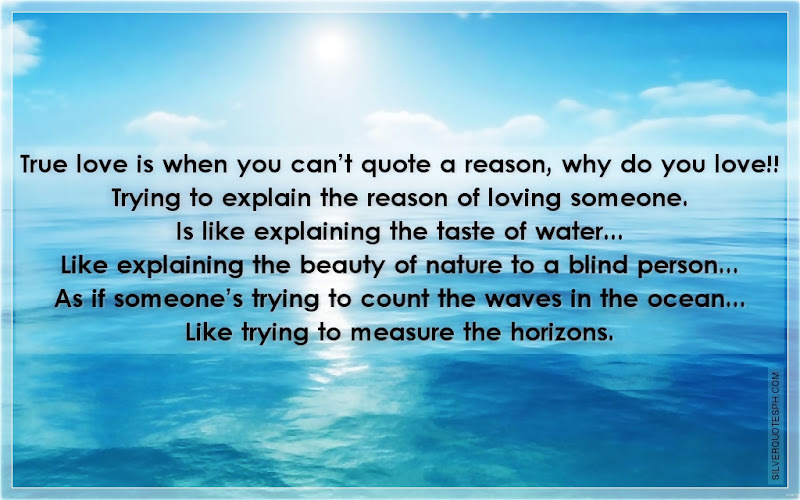 True love is when you can’t quote a reason, why do you love. Trying to explain the reason of loving someone. Is like explaining the taste of water... Like explaining the beauty of nature to a blind person... As if someone’s trying to count the waves in the ocean... Like trying to measure the horizons.